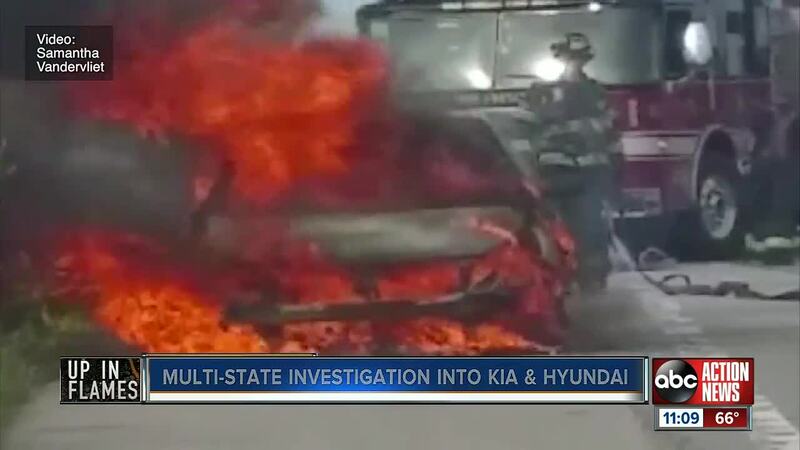 A group of states are launching a probe into Kia and Hyundai after the ABC Action News I-Team exposed hundreds of their cars catching on fire. The Connecticut attorney general is leading the charge, calling for an investigation into the automakers for potentially unfair and deceptive acts or practices. "My office is one of the leaders of an ongoing multistate investigation into deeply troubling reports of spontaneous fires in Hyundai and Kia vehicles. We are aware of multiple fires involving Connecticut vehicles, including some allegedly already repaired through the recall process. This is a serious matter, and we are moving aggressively and responsibly to uncover the facts and to ensure accountability," said Attorney General Tong. The ABC Action News investigation into the spontaneous fires ultimately led to a recall . Dozens of customers are suing Kia and Hyundai over the fires , including a mother who barely escaped her Kia Sorento with her husband and baby when it spontaneously burst into flames on a Polk County highway. Another woman we spoke with says she had to watch her son burn alive inside her Kia Soul back in 2017. We are working to find out whether or not Florida is one of the states involved in the multistate investigation.